Special thanks to Guy of His Futile Preoccupations for hosting the giveaway from which I won this book. 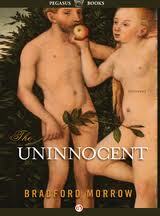 The Uninnocent by Bradford Morrow is a collection of short stories that share many common threads. The tales are generally first person accounts of quirky outsider types, some of whom commit questionable and sometimes reprehensible acts including murder. To a remarkable degree, Morrow has gotten really deep into his characters’ heads. The majority of these fictional people have suffered loss or displacement in their early years that sends them a little off kilter. Though far from perfect, these characters are often complex and sympathetic. In “The Hoarder” the main character hides in a small building that is part of a miniature golf course as he covertly observes couples playing the game. False perception of reality is key theme of most of the stories. Many of the characters are unreliable narrators. Some of these storytellers lead the reader to believe that they are acting in good faith or self – defense; before the tale’s end, however, holes pop up in their narratives. In “The Enigma of Grover’s Mill,” the adolescent narrator comes to believe that his mother’s live in boyfriend is a three-legged Martian. Of course, this casts doubt upon the other aspects of reality that have been reported. In “Amazing Grace,” our main character is blinded in an accident. After a period of depression, he picks himself up and, by using his misfortune as an example, he becomes an enormously successful spiritual and motivational speaker. After ten years, he spontaneously regains his sight. Keeping his newly regained vision a secret from his family and associates, he is shocked when he realizes what is really going on around him. Some of the stories end in an imperfect redemption, usually with the flawed character finding a fellow outsider as a soul mate. All is never completely right and balanced because the serious defect is shown to still be lurking in the background. In “The Road to Nadeja,” the main character exhibits a lifelong habit of stealing things from friends and family. He uses the thefts in a bizarre way to gain further intimacy with these people. Later in life, isolated and alone, he makes a symbolic break from his habit and seems ready to begin over again. He meets a woman, but it is implied that he will steal something from her in order to cement their relationship. Though often dark, this is a terrific collection of stories. Morrow’s writing is aesthetically pleasing, meaningful but very accessible. The character development is rich. Not always a journey into the blackest depths of the human heart, this is more a voyage into the murky grey. I highly recommend this for anyone who likes slightly off - beat stories with odd - ball characters. Thanks to and Caroline and Lizzy for organizing German Literature Month. Please visit their sites for tons of links to commentary on all sorts of great German literature. 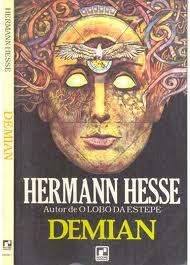 Those familiar with the writings of Hermann Hesse will find that Demian covers familiar ground. Like many of Hesse’s novels, this work is a Bildungsroman, or the chronicle of the development of a young person’s character. It is a philosophical novel that draws upon contradictory thought systems as espoused by Carl Jung, Friedrich Nietzsche, Gnosticism, Christian theology, Hinduism and Buddhism to name a just a few. As this novel was written fairly early in Hesse’s career, these ideas, as well as the plot, are unfortunately a little underdeveloped here. Emil Sinclair is raised in a middle class German family. His home life is comfortable and warm with caring family and parents, holiday celebrations, religion, etc. Early in life he begins to realize that he is different from his family as well as his peers. Sinclair seems to live more in his mind and spirit than do those around him. Moreover, he recognizes an opposite world inhabited by darker things. Sinclair meets another boy, Max Demian. This extraordinary character seems to understand the duality inherent in the universe and sees into a higher reality. This knowledge is accompanied by amazing powers of persuasion over others. Through the years the pair lose touch for long periods but reconnect several times. As Sinclair grows up he vacillates between the worlds of “Light” and “Dark” with periods of wild revelry followed by stretches of piety and asceticism. Eventually, after episodes of mystical experiences and dreams, he reestablishes his friendship with Demian. At this point Sinclair establishes a spiritual balance between his conflicting natures. He and Demian form associations with other “enlightened” people who follow many different belief systems. Sinclair meets Demian’s mother, Frau Eva. This woman is a figure of wisdom and near spiritual perfection. Sinclair falls deeply in love with her. The two experience a spiritual relationship and connection. As World War I breaks out, both Sinclair and Demian enter military service and meet their destinies. This is a deep philosophical work. It is clear that Hesse is identifying a duality in the universe, the “Light” and “Dark.” There are multiple references to the Gnostic God Abraxas. This deity represents a combination of universal opposites. The “Light” side, Spirituality, Christianity and other religious thought are portrayed as half of the balance in the universe. 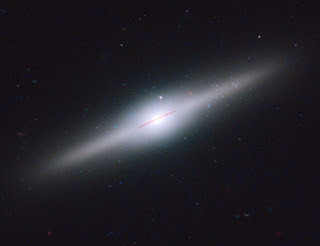 The other half of Hesse’s equation is the necessity of the darker side of the Universe. The writings of Nietzsche are referenced several times. Some Gnostic interpretations of Bible stories are presented. For instance, the idea that the Cain and Abel actually presented Cain in a positive and noble light is suggested. It is well known that Hesse’s philosophy was influenced by the theories of Carl Jung’s collective unconscious. Sinclair comes to understand that these forces inside of him are shared by all and perhaps result from human evolution. Sinclair enters the world of the highly enlightened when he reconciles that both universal forces are necessary for a balanced psyche and society. I cannot help but to think that Nietzsche must have rolled in his grave at the thought that Hesse’s system rolled together his beliefs with the ideas of piety and Christianity! I like Hesse’s take on things as an interesting and useful worldview. As a personal philosophy, his concept of balance can be beneficial and helpful. However, Hesse, like many philosophies and religions, seems to go further and imply that these dualities are part of the basic fabric of the universe. I differ with him in this regard as I think that these beliefs are more of an enlightened point of view as opposed to a nuts and bolts description of the universe. Though full of varying philosophical thoughts, I find Hesse to be relatively transparent as to what he is attempting to say. 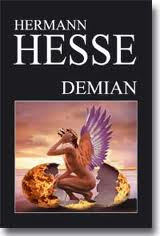 Though this is the first time that I have read Demian, I have read numerous other works by Hesse, so I was somewhat intellectually prepared beforehand. I would highly recommend that a prospective reader be somewhat familiar with the basics of Jung’s theories on Collective Unconscious and Archetypes as well as Abraxas. A little knowledge of Gnostic beliefs would also help. Deep study is not necessary, twenty or so minutes in Wikipedia will open up many doors to this work. Readers of this blog will know that I like books full of ideas and philosophical ruminations. This book is indeed full of these things and I very much enjoyed it. However I would not recommend this novel to those who are unfamiliar with Hesse’s other works. The ground that is covered here is covered in his other books in more satisfying ways. This is a short work, too short to be packed with so many ideas. Thus I find that the philosophies expounded here seem underdeveloped. The author needs more words. Similarly, I think more character development would have helped. Finally, the end of the novel seems rushed and comes too quickly. I have previously read Siddhartha, Steppenwolf, Narcissus and Goldmund, The Journey to the East and The Glass Bead Game. I tend to love Hesse's work. I would recommend any of these as more fulfilling, both thematically and aesthetically, works over Demian. If one has already read Hesse’s other great works and wants to read more, then I think that they will find this is an enjoyable supplementary novel. Thanks to Miguel for organizing Jose Saramago month. Multiple posts and links relating to Saramago and his works can be found at St. Oberose. 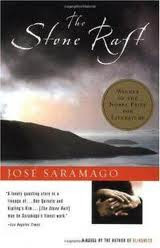 The Stone Raft by Jose Saramago is an extraordinary novel. This book has a fantastical but engaging plot, likeable and interesting characters along with deep political and philosophical underpinnings. The plot is fanciful. The Iberian Peninsula, Spain and Portugal, break up from Europe and begin drifting in the Atlantic Ocean. Five people and a dog, all of which have experienced bizarre incidents that may or may not be connected with the breakaway peninsula, meet and begin a journey together. Joana Carda is a woman who traces a ridge in the dirt that seems to magically reform every time it is wiped away. José Anaiço is a man who is followed by a flock of starlings everywhere that he travels. Joaquim Sassa is a man who inexplicably is able to skip an immensely heavy rock over an enormous distance of water. Pedro Orce is a pharmacist who is able to feel the Earth shake; though no one else experiences the same sensations the trembling is confirmed by seismographs. Maria Guavaira is a women who, when she begins to unravel an old sock, finds that the yarn is produced in infinite amounts. Finally, Ardent is a dog with amazing powers of perception. When it is realized that the floating peninsula is a on a collision course with the Azores islands and catastrophe, the group takes to the road first in a car and later in a horse drawn wagon. José Anaiço and Joana Carda become lovers. Joaquim Sassa and Maria Guavaira eventually do so as well. Complications ensue as a result of these relationships. Much of the book details the group’s travels and adventures throughout Spain and Portugal. Saramago has crafted his prose in a post- modern style. There are no quotation marks or line breaks for dialog. At times sentences and paragraphs go on for a lot of words. The mood is often light but at other times serious. The book is full of philosophical ruminations concerning people and life. The tone of the book is usually light but occasionally very serious. There are obvious historical and political allegories and meanings connected with the movement of the peninsula. While I am not completely in the dark concerning recent Portuguese, Spanish and general European history and politics, my knowledge does not penetrate as deeply as I would like. Thus any political or historical commentary that I attempt to expound here is likely to be on superficial side. Therefore I will avoid commenting upon this angle of the story. There seem to be additional multiple thematic and philosophical threads in this work. I do not pretend to understand or even to recognize all of these strands. However, one point that I think to be central here is what Saramago is trying to say about what is valuable and worth holding on to in life. The text is very skeptical and cynical concerning many aspects of existence. Governments, police and militaries are shown to be capricious or incompetent. Human institutions and social organizations such as science and public opinion are dismissed and mocked. Saramago goes further. Understanding of history and the past is shown to be nearly impossible. In several instances both the origin of artifacts and historical battles are given alternate interpretations. Even basic universal constants are shown to be precarious. For instance, cause and effect are shown to be ultimately inscrutable. Saramago returns to this theme in multiple instances. At several points in the narrative he contends that people overemphasize their own importance as well as their effects upon the universe. Later in several places in the novel the human tendency to search for meaning and a place in the universe is also shown to be futile. Again and again the narrative emphasizes that we live on unstable ground. The bizarre are seemingly arbitrary movement of the peninsula being the ultimate example. Saramago does not present us with a philosophy of despair however. There does seem to be a meaning or at least a comforting aspect to life. This is human fellowship and companionship. I must confess that I needed to look up what starlings represent. I found that they often signify human harmony and mutuality. This fits as the book emphasizes the virtues of kindness, friendship, camaraderie and meaningful sexual relationships. Large groups and organizations of people do not really work in Saramago’s worldview. Our five protagonists (six if we count Ardent) are shown to be a loving group who support each other and give one another other meaning. Even the beneficent impact of friendship between human and animals is extolled. The author is not simplistic or Pollyannaish however. Sexual tensions threaten to pull the group apart. However, everyone ultimately sticks together, at least until the novel’s end. The group members never actually eliminate the conflicts but they persevere despite the obstacles. I loved this book. It has an imaginative and intriguing plot, engaging characters, a distinctive style, and it is bubbling with philosophy and themes. As usual I have only scratched the surface of what one will find in this work. I recommend it to anyone who is not afraid of something different and likes to think about the world and humanity in terms of the big picture. I am astounded by reality. When I think about what I am, what everyone is, and what the universe is, I am amazed by the magnitude of it all. Of course we do not have all of the answers. However when I take a step back from everyday life and try to get an idea of the part of the picture that we seem to understand, I am in awe! When I imagine that, the observable physical universe started with the seemingly bizarre event that we call the Big Bang (really a misnomer) and that it led to all THIS, I am overwhelmed with wonder. How all that we call energy and matter, and even time itself came to be in that instant. How over immense periods of time stars and planets formed. How chemistry on Earth led to life. How life evolved from single cell organisms on to creatures of astounding variety and complexity. How humans came to be. How the great mystery of consciousness came about. How over a relatively short time period (but from my point of view a long time period), people developed culture, science, technology, civilization etc. The totality of it all is really beyond comprehension. The way that the universe got from the Big Bang to the world today in our tiny piece of the Cosmos is a mind- boggling wonder of wonders that most people scarcely think about. Often I stop to ponder how odd it is that in this little corner of the Universe it has thus far cumulated into cars, gourmet food, Shakespeare, bad television, Mozart, Da Vinci, pop music, war, politics, capitalism, communism, Nazism, morality, computers, on and on and on! The path that reality has taken seems so long and strange yet it is the fabric of our existence. As I alluded to above, I find consciousness to be one of the most baffling phenomena of it all. What is this thing that we call “Self?” I have read a bunch of books and articles on it. It is still very mysterious. A belief that seems common, though not universal, with both researchers as well as modern philosophers is that when a certain high level of information processing organization occurs, the phenomena that we call consciousness ensues. I believe that this set of theories and beliefs likely to be true. Yet as David Chalmers points out in The Conscious Mind, this is an extremely unsatisfying explanation if one is intuitively trying to get at the nature of what we call awareness! No doubt there are wonders that are yet undiscovered. However, maybe in some areas our view of the big picture is nearly complete. Perhaps the above explanation of consciousness is pretty much all there is to it and science just needs to fill in the details. In regards to awareness and our minds, current theories just seem so inadequate. I feel a similar sense of not really intuitively understanding the seemingly paradoxical concepts relating to the Big Bang, Quantum Physics, Time, singularities, the nature of matter and energy and thus existence itself, etc. Yet it may very well be that my brain, which evolved to mostly deal with hard practical problems of survival and reproduction on a tough planet whose rules are mostly governed by animal behavior, chemistry and Classical Physics, is just not capable of intuitively understanding concepts such as consciousness, the Big Bang, Time itself, etc. It is a wonder that we are beginning to get at these elusive truths in the form of scientific observation, theories, experiments and mathematics. Alas, real gut level comprehension may elude us forever. Some will attribute much of this wondrous Universe to a God. Personally I see little evidence of the existence such a Being. However the reality of such an entity is possible. If there is a God I would guess it to be very, very different from that conceived by most religions and philosophies. There are so many rarely discussed possibilities that seem much more likely then those traditionally conceived. Just one example, a variation on Deism comes to mind. 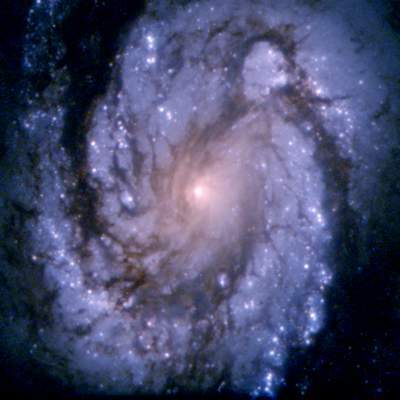 Imagine a super powerful intelligent entity that created the part of the Universe that we can observe. This Being is not omnipotent and needs to play by the rules and laws of a much larger Universe. It is extremely long lived on the order of tens of billions of years but not necessarily immortal. This Being cares little for humanity or what we call morality. I do not believe that this hypothetical entity exists. I do think it to me more likely then the traditional conception of God. I describe it just an example of many possibilities. We humans in 2012 are traveling the cusp to time. We find ourselves awake and aware in an enormous Universe that has been here for billions of years. All the past has gone before. The future has not has happened yet (Many Physicists contend that there is nothing special about the forward movement of time and such may just be based upon our perception. I cannot claim to fully understand this concept and I find it near impossible to write a Blog from that perspective!). We are only able to look back at all that has gone before and wonder about what is to come. I am hesitant to recommend too many books on these topics as advances in our knowledge quickly make information obsolete. I love all the writings of Carl Sagan. He combined astronomy, physics, biology, history, culture, philosophy, as well as a very humanistic and tolerant worldview to weave a picture of the universe that very much parallels my own. Of course Stephen Hawking’s writings on physics and the nature of the Universe are classic. In terms of biology, evolution and what I call the philosophy of science and understanding I agree with much of the worldview espoused by Richard Dawkins. However, I find Dawkins to be too angry and disrespectful towards those whom he disagrees with for me to advocate for his writings too strongly. Daniel Dennett and David Chalmers have really good books and articles on the subject of consciousness. There are many others thinkers of note, some that I have read of and I am sure some that I have not. There is much exploration available to the curious person. We live a great time to possess and inquisitive mind! I think that if and when we discover extraterrestrial intelligence it will in the very least help and change our perspective on many of these issues. Imagine how such a discovery will impact upon our views concerning science, philosophy, our place in the Universe, and almost everything else! In the meantime, I urge everyone to take a step back and think about the ALL.